What Are Some Advantages of Roll-Up Curtains? Keep it rolling with roll-up curtains! 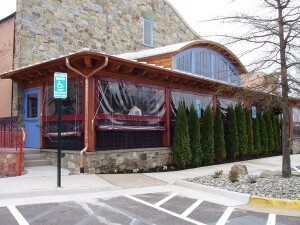 Here at Carroll Awning Company, we are proud to present roll-up curtains. In this blog, we’ll cover the advantages of roll-up curtains. Now that summer time is here, opening and closing the curtains should be easier than ever. Let in heat and light when you need them, and keep them out when you don’t want them. Please read on to learn more! Roll-Up Curtains Are Made to Order for Your Home! Simple and Beautiful: Roll-up curtains are a simple and beautiful way to jazz up the exterior of your home. If you’re seeking a modern, refined aesthetic for your home, consider adding roll-up curtains. An expansion is always an option, as you can more accessories with these curtains as a base to build from. Control the Sunlight: As we said above, let there be light when you want it, or keep it out when you don’t. Controlling the levels of sunlight entering your home is another great advantage. Special fabrics can be integrated into your new roll-up curtains; these fabrics can manage the levels of comfort affected by ultraviolet rays, and light glare, and especially heat and humidity. June is only going to get warmer as brighter as the month progresses. You can choose all sorts of colors and patterns. If you need to, you can always choose to have more than one roll-up curtain share a single wall mount. Along with blackout blinds, you can control the amount of light that comes into the room. This is especially helpful in rooms where you want to protect the furniture and the flooring. Motorization Options: Much like awnings, roll-up curtains can be motorized as well. In fact, they even operate like motorized awnings do. Harder to reach areas for where roll-up curtains or awnings could be placed can now be lowered with a simple button press. You can even set the curtains to open and close at predetermined times, just like programming your lights to do the same while you are away on vacation. Best of all, there’s little to no maintenance needed. And when maintenance is needed, you know exactly who to call.